Watch our Wetland Wanderer video series! 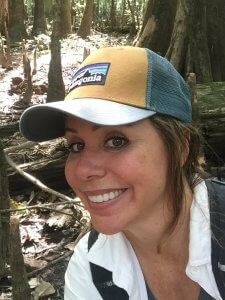 Our “Wetland Wanderer”, Lucia Ibarra, explores wetland forests across the US South. The series will highlight the interconnection of wetland forest protection, climate change, and community justice. Watch Wetland Wanderer Episode #2 at Francis Beidler Forest in South Carolina! Stayed tuned for more episodes of The Wetland Wanderer!